Remember those days? Yeah I’m sure you do. Remember digging through your 5 foot tall stereo cabinet looking for “Weekend At Bernies”? Those days are gone. Long gone! 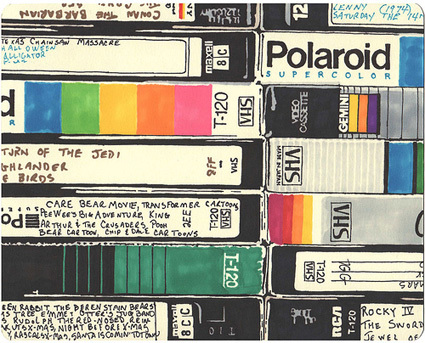 Technology has given us extra living room space by getting rid of your VHS collection, and technology is also making it faster for you to find what you want. Just type it, and you got it. Think about it… it took a while for the world to switch from VHS to DVDs. Then there’s Blu-Ray, but, DVDs will continue to own the market since the cost for “blue-ray” quailty (and price) seems to be easily forgone. However, downloaded and streaming content will be the biggest threat to the mighty DVD in the future. It’s already there, we are just waiting for the hardware to catch up. I mean, the hardware practically already penetrated the market unexpectedly, we are just waiting for the technology to make it more reasonable and affordable to use. For example, pay attention to how NetFlix is changing the market for movie consumers. Of course, there’s the mailbox DVD you’re waiting for in the mail, but NetFlix has already launched apps for their streaming content to be available on your Wii, PS3, and iPad. That is where technology is taking us in this industry. The internet is already available in most homes, the next step is to increase the bandwidth so that high definition movies and shows can be streamed and played instantly. When that happens, I can see DVD-rentals, NetFlix mailorders, Red Box kiosks, become less popular; they won’t entirely become obsolete and thrown in the museum with the betamax display, but once streaming content becomes reasonably available on your TV (there’s a difference between on your TV and on your computer), then I can see products like VUDU becoming a household name. Anyway, streaming media has proven to be a technology that makes sense, just look at Pandora. One of my readers (Miked) asked me about VUDU on my post where I speculated that GameFly would be a great stock for 2011. Well, VUDU actually applies to streaming techonology, so I’m glad he brought it up. A simple way to appreciate any product or service is to simply ask yourself, “Do I use it?” So for me, the answer for Vudu would be, no, I don’t. But I can tell you, one day I probably will. You too. There’s several problems with Vudu in the market right now. What Vudu is suffering from is being a little ahead of its time. What Vudu does is provide 1080p quality movies on demand to your TV, provided you have a compatible player. You don’t actually download the content, but it streams. Therein lies the blessing and the curse. 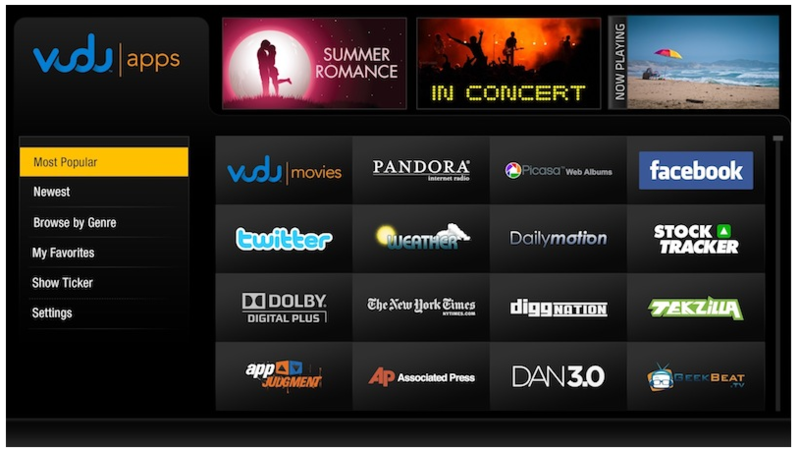 The idea to download/stream and watch movies and videos at HD-TV qualities is something everyone dreams of. Vudu over the past few years made that possible, however, the hardware in today’s market standards is just a little behind. In order for you to get a good stream you’ll need a connection of about 5 mb/second, at least (I’d say quadruple that). How many people do you know have an ethernet cable plugged into their televisions? Not many! The plug is there, but people just don’t use it. That is why other ways to watch videos have been doing much better; NetFlix is the obvious case, then there’s RedBox, and there’s the option to just buy the DVD, Hulu, and AppleTV (most similar to VUDU). Many of these services do what people feel is perfectly acceptable. Hence, the alternative costs is too high for the general public to move over to Vudu. Just recently, VUDU has upgraded their systems to take advantage of social networking, maybe that will get them on the map. Pay attention to what the big names are doing to get a piece of streaming content. WalMart actually bought VUDU last year for $100M. Google bought YouTube, and is in the works for making money somehow on streaming content. Apple is slowly promoting Apple TV. Also pay attention to the revolutions in hardware that makes streaming content make sense. 1) Video game consoles now have ethernet cables. There’s no need to buy a separate Boxee box, or other console. 2) Smart phones are benefitting from 4G networks, which makes streaming reasonable. Smart phones also can convert to a wireless hot spot which means you can connect all kinds of devices to the internet, 3) MPEG-4 formatting allows for faster streaming, and further research is being done in compression technology, 4) iPads and tablet PCs have yet to penetrate the market, and when they do, streaming content will be in higher demand, I mean I do enjoy watching my NetFlix videos on my iPad, but the quality of the streams do not take advantage of my iPads resolution; and 5) cloud computing is becoming an important tool for supporting mass web applications. So why does this matter to you? Well, we’re tyring to stay ahead of the game here. Anticipate where demand will be in the next 5 years, and you can be in investing in the right industries. If you believe streaming content will be an important utility in technology, then start thinking about investing in them now. Here’s a few categories that consumers will be trending towards, and a few companies that will benefit from the demand. Many of these you will notice are already in uptrends..
Category 1: Cloud Computing– In order to satisfy the insatiable appetite for data storage, and just simply living your life on the internet, cloud computing servers will become a requirement for almost every application. 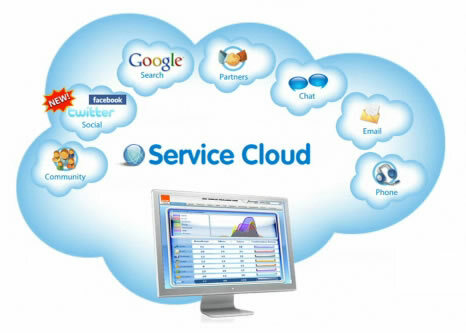 iPads, iPods, movie streaming, FaceBooking, photo uploading, online shopping… it all will be serviced by cloud computing. 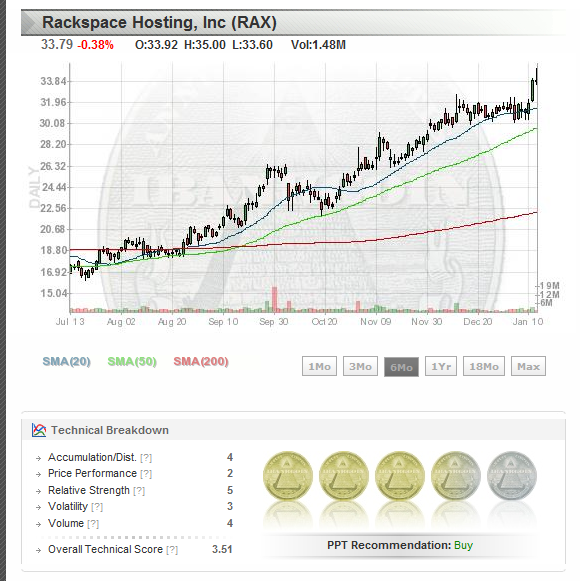 My favorite cloud play is still Rackspace (RAX), which was brave enough to take on Amazon through cloud computing. 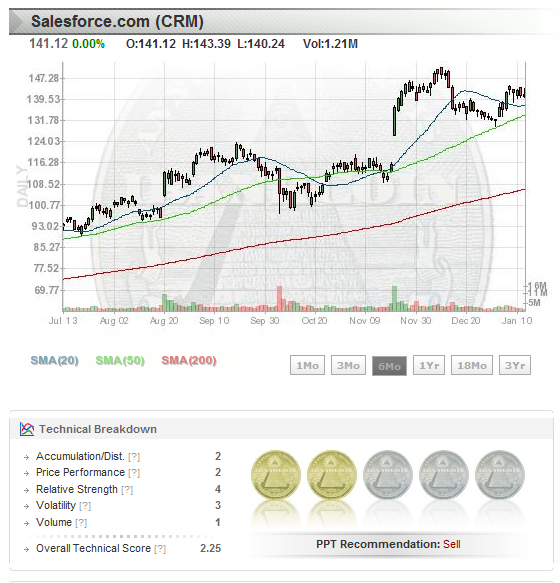 SalesForce.com (CRM) and Accenture (ACN) are also good cloud plays. 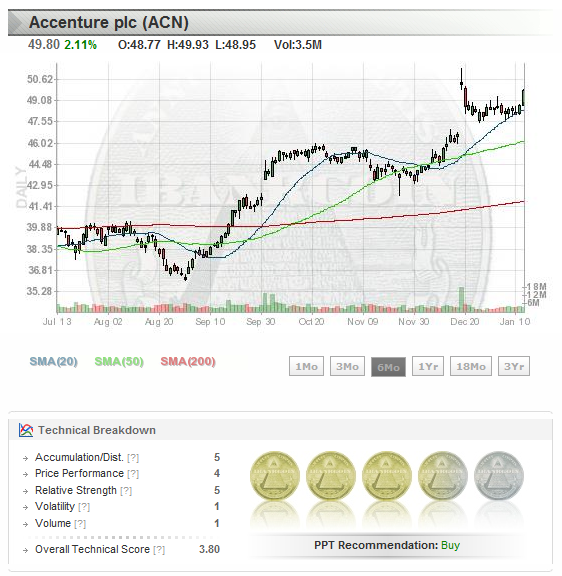 ACN guided higher for 2011. Category 2: Stream Team– Look for small companies that have been around for a while to get hot. 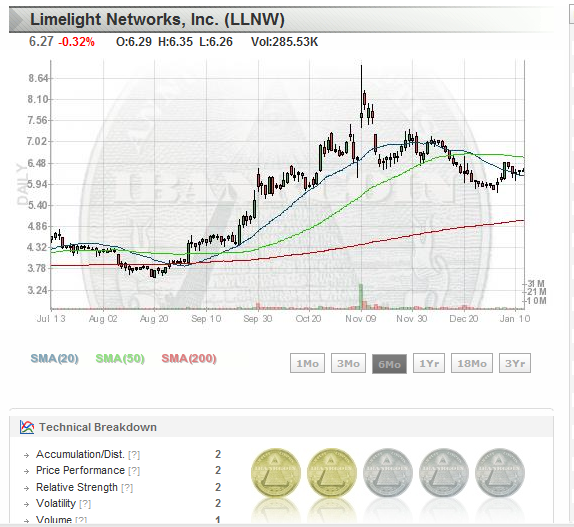 I like Limelight Networks (LLNW) which streams content; they have been in legal battles recently, so let’s see how they proceed from here. 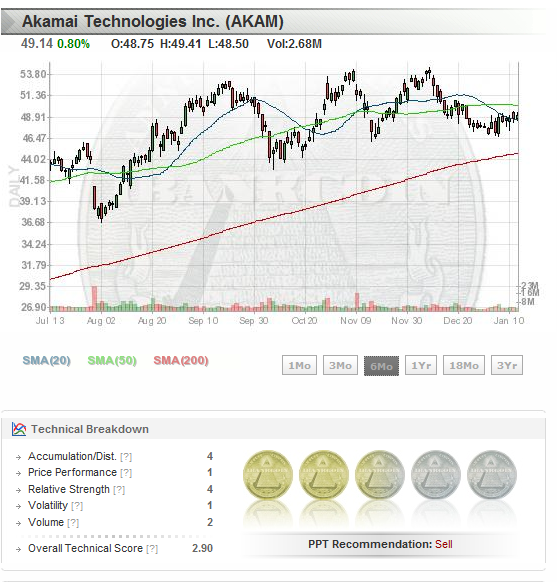 Akamai (AKAM) is the clear leader here, and still continues to grow. 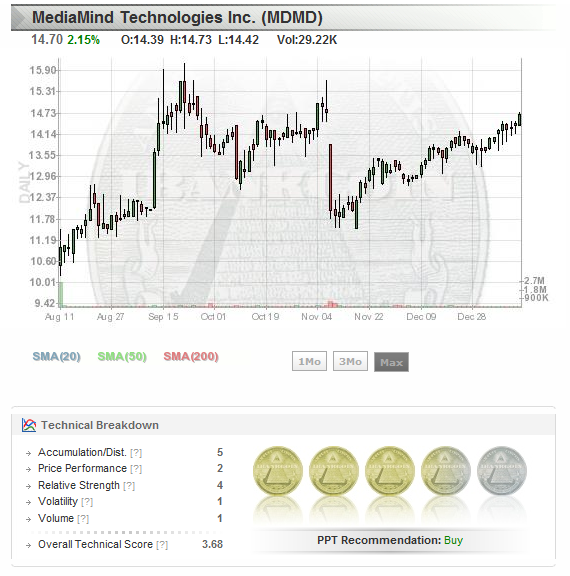 In-stream advertising is something to also think about, for that check out MediaMind Technologies (MDMD), very nice technology there allowing interaction with advertisments and promotion campaigns. I could go on and on about MDMD because in a way it brings together localization and streaming concepts together, but before I do, get familiar with their “Dear Mr. President” campaign they ran with Pepsi. 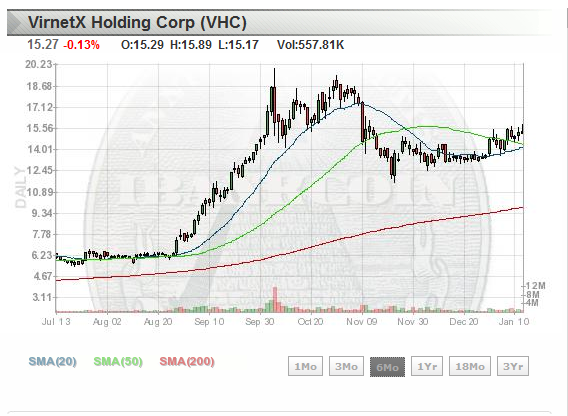 And finally, to make sure everything is secure while things are being streamed, you must check out VirnetX Holdings (VHC)… impressive stock. View more documents from Eyeblaster Spain. Category 3: Hardware– Whether you’re running the latest 4G network, fiber optics, DSLs, you’ll have to call the IT guy to fix it. Look for the companies that fix these things to get big. 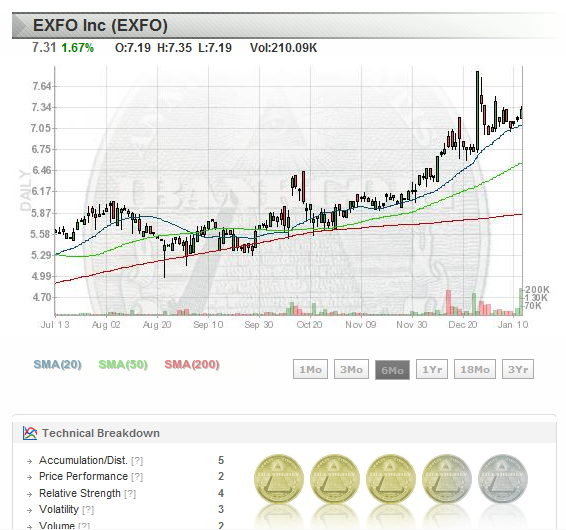 Take a look at EXFO Inc., my favortie play on the super geeks. Hopefully this will give you an idea of what’s in store for us the next few years. It’s 2011, we haven’t quite created real estate on the Moon, but at least we’re reaching for the clouds. So in summary, streaming content has been around for a few years, but like I mentioned earlier, only recently has the hardware been catching up with it to allow it to be acceptable for consumption. And only recently have larger companies have been paying extra attention to it. Invest in the invisible. Interesting. There are Vudu players and Dual Band wireless N routers that will provide the heavy duty wifi connection to stream 1080p throughout a house without any Ethernet cables – this helps the Vudu case. However, two potential dilemmas I see involve convincing mainstream consumers to abandon on-demand movies through cable or DirecTV without losing those consumers to network media players running 1080p movies from torrent sites (or even legitimate sites like iTunes movies). I remember in the early 2000s once the public figured out how to store music CDs on their PC or burn music CDs, it was only a short while before everyone was pirating mp3s online. The only thing keeping the same movement from occurring with movies right now is that the public majority is not aware of the devices, programs, and procedures needed to produce equivalent results with movies. And every year those devices further simply the consumer side programs and procedures. Then again, Time Warner has been notoriously aggressive against movie piracy. I seriously need that router. 🙂 I have like a billion devices logged into my router, plugged into another router plugged into another router; it’s an IT mess. “public majority is not aware of the devices, programs, and procedures needed to produce equivalent results with movies. ” … agreed. … i think torrent sites is a smaller threat in the bigger picture here. Might not the iTunes effect actually encourage awareness of streaming content? It’s kind of interesting that there’s a Vudu iPhone app. Lol. … i think you’re right on with iTunes being a threat, but overall, I think both companies benefit when everyone starts using streaming content more and more. Let’s face it, of all Apple’s products, AppleTv just lags behind, like they were abandoned to the more brighter children (iTouch, iPad, iPhone), and I chalk that up to the industry just not being ready for it. iTunes 10 is supposed to fix that. But nevertheless, I like the fact that competition is building in this infant industry. But yeah, I’m not here to promote Vudu, because once again I’ve never used it, but I think whatever companies are involved in streaming content will be pretty awesome. Great post. The only problem I see is available bandwidth. That would add the infrastructure network guys to the list. It’s just another example of the network axiom: content will increase to fill all available bandwidth. Great post, Gio. Clear thinking, and looking ahead. Valuable ideas here. EXFO! Wow. been researching them over the weekend too. no doubt. Great post GIO! I was thinking of ways to play of this. I have been constructing a streaming sort of thesis. I added EXFO to my watchlist yesterday and today…total liftoff. CSTR guided down tonight. In the release they were stating that last quarter their redbox DVD business got hit. I am thinking it’s more converts to streaming via NFLX. (of course NFLX @ a multiple of ~62 and for comparison AAPL at a multiple of ~20 I am certainly not interested in NFLX). Going to continue looking for derivative plays of the streaming thesis though. Here is a link to the CSTR release. I wish ROKU was public. I might have to rip my unit apart and peak at the internal components. … my kind of trader. cheee! CSTR … lots of noise going on. watch for bears to short NFLX next. nice. gotta check out NXPI. near 52-high. ATHR made comeback from 08. Yall see REE getting hit. I was reading in wallstreet today something about Toyota, and China’s lock on rare minerals.